I am back today with another card using the swirl stamp set (Collage Friend - new for 2013) from Hero Arts. 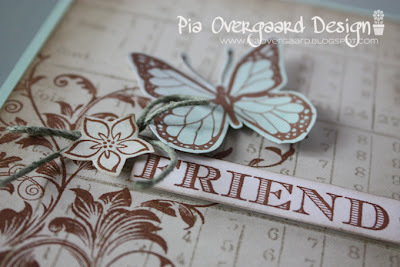 The brown ink used here is Colorbox Chestnut Roan - the butterfly and the flower was stamped on paper which was spray misted (October Afternoon sprinklers) before stamping - to match the card base. And some details... 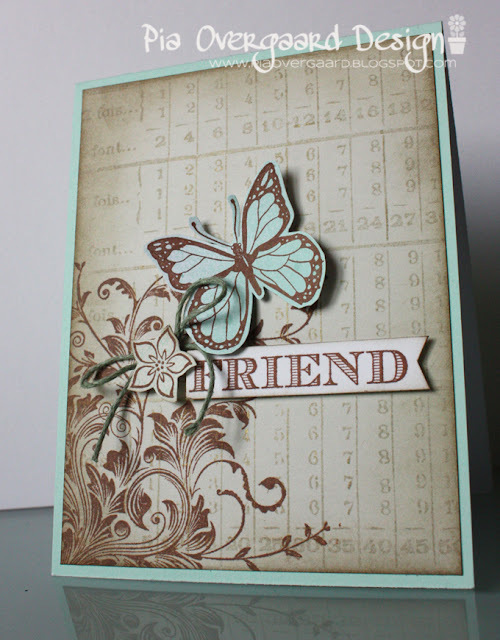 I really like the friend text stamp from the same set. This font type would work great with a chalkboard technique too. Det er så super smukt, Pia... lækkert stempel og skønne farver. Kanon lækkert kort i en fed farve samsætning. 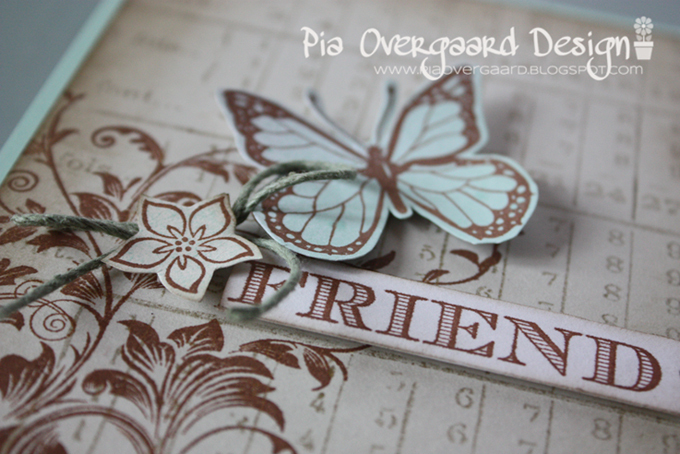 Vild lækkert swirl stempel.